Data plays a vital role in sales, finance, and countless other sectors. Yet relatively few people even know how to work with a simple spreadsheet. 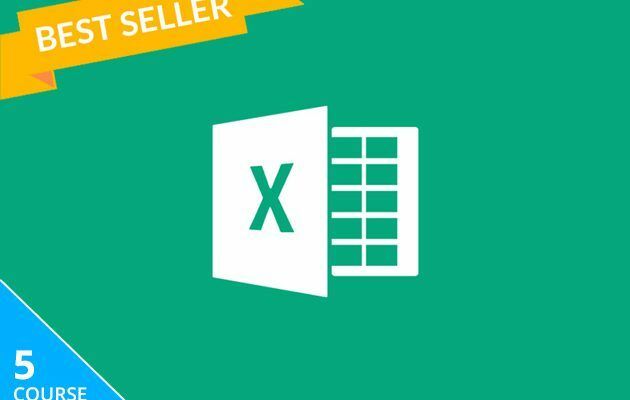 If you want to stand out from the crowd, the 2019 Microsoft Excel Bootcamp Bundle can help. Through five courses and over 78 hours of video tutorials, this bundle can turn anyone into a number-crunching expert. You can get the training now for just $39 at MakeUseOf Deals. If you work behind a desk, you have probably met Microsoft Excel before. But without guidance, it’s easy to miss some of the most powerful features.